Coverage for Your Business - Orlando FL & Ocoee FL - Lancaster & Associates Insurance, Inc. Since opening our doors, Lancaster & Associates has provided area business owners with the insurance coverages they need to protect their livelihood. 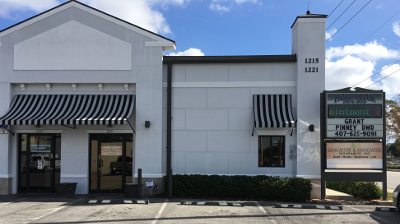 From small main street businesses to larger corporations, our experienced staff regularly provides a variety of businesses in Orlando, Winter Park, Ocoee, and the surrounding areas with customized commercial coverage. When matching a business with commercial insurance, we believe in taking a consultative approach. After reviewing a client’s current coverage, and offering recommendations to help mitigate their risks, we then turn to carriers such as Nationwide, AmTrust North America, and Markel Insurance Company for the best rate and policy. Some providers also offer dividend programs that could credit back a percentage of the client’s premium. By taking the time to thoroughly understand the unique products and services of each client, we can pair them with the right coverage. We offer a multitude of industry specific coverages, and we often write policies for individuals who own businesses in the accounting, trucking, contracting, and culinary industries. For small to medium-sized business owners, we also offer the option to bundle coverage in the form of a business owners policy (BOP) for increased protection and savings. To begin working on a commercial policy, please request a quote. At Lancaster & Associates, we are dedicated to exceptional customer service, and will always put our clients first. Once a policy is in place, we keep all lines of communication open, as a new hire or payroll change could affect coverage. Please contact us at your convenience to learn more about our products and services for businesses. At Lancaster & Associates Insurance, Inc. we’re proud to provide business insurance in Orlando, Winter Park, Ocoee, Altamonte Springs, Maitland, and Kissimmee, FL. We also serve other areas in the state and we serve Georgia.